PVC wood doors hollow insulation tile sheet extrusion production line | Silver Python Machinery Co., Ltd.
SMYF PVC wood doors hollow insulation tile sheet extrusion production line The production line from the cone-shaped twin-screw extruder, vacuum stereotypes , traction machine, horizontal cutting machine, stacker. 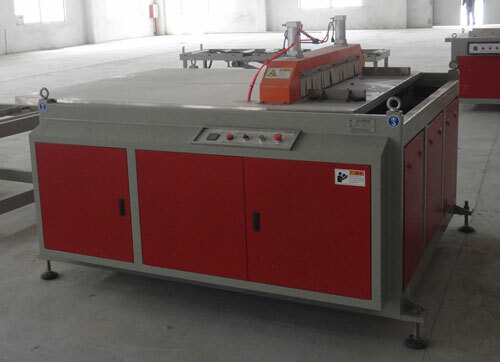 Production line using a special wood-plastic extrusion equipment and equipped with the corresponding auxiliary equipment, through the replacement of different molds can produce different specifications of wood-plastic sheet. use company’s original wood-plastic process and formula, according to different sheet sections, according to the different uses of the plate, the design of different products. 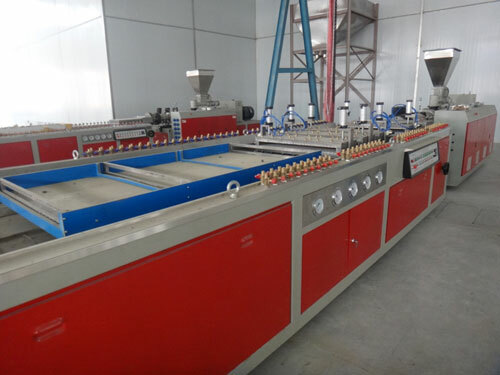 Selection of different specifications of the wood-plastic twin-screw extruder, and wood-plastic single-screw extruder, and can be configured corresponding to the vacuum stereotypes, traction machine, horizontal cutting machine, rolling platform and other auxiliary equipment. Vacuum stereotypes with a special increase in current cooling system, easy to cool stereotypes to meet the needs of wide wood-plastic plate production characteristics. Traction machine using our company’s unique technology, work smoothly, good reliability, traction. Horizontal cutting device and plate traction speed to keep pace, the design is reasonable, stable operation, automatic cutting cut, and equipped with dust recovery device. Replacement of different molds can produce different specifications of wood-plastic sheet. Equipment can be used according to customer requirements using computer control or conventional control system. 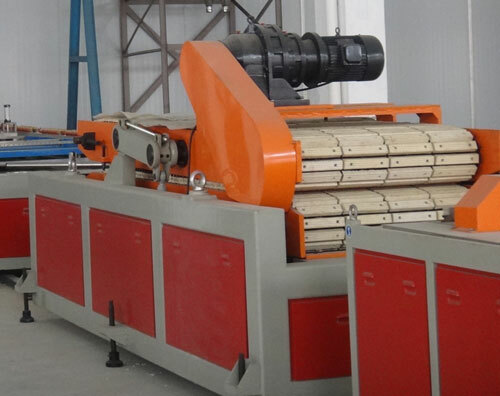 PVC wood foam decorative profile extrusion production line is mainly For the production of wood plastic (PVC) the whole door, wood-plastic partition board, PVC hollow insulation tile and other sheet extrusion.